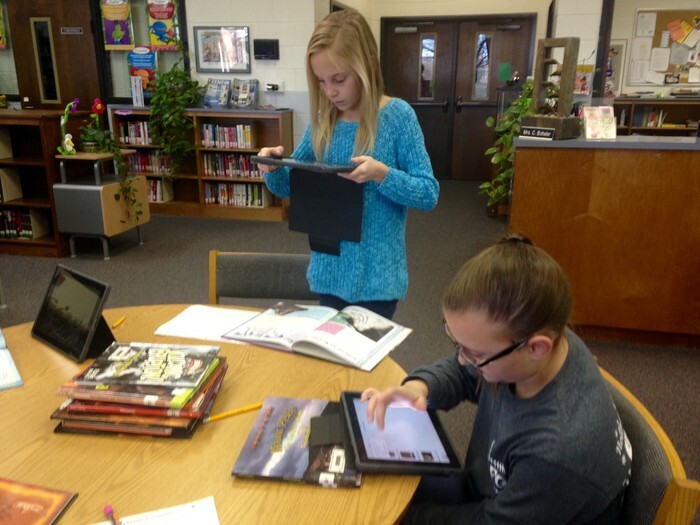 Implemented a makerspace in the library where students can design, build, and create. 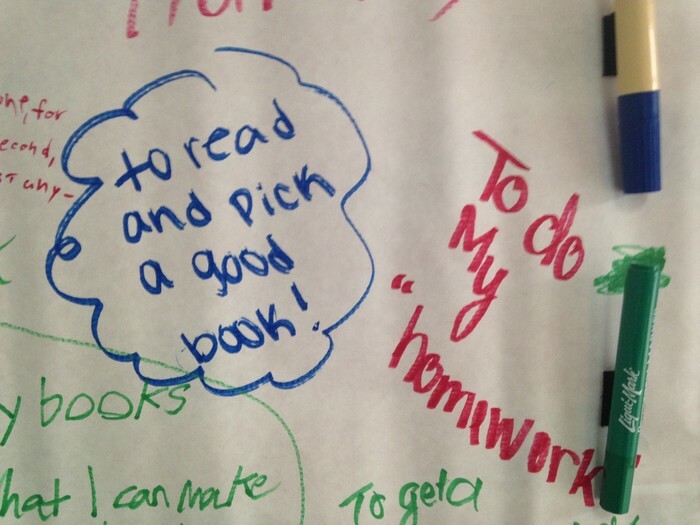 Students were exposed to many STEM-related activities and challenges. 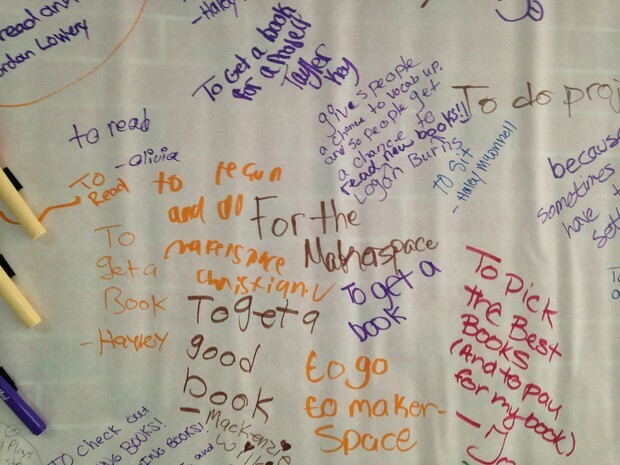 Received a $1,000 CloverLEAF grant to purchase books by Kwame Alexander for classrooms, individual teachers, and the library. 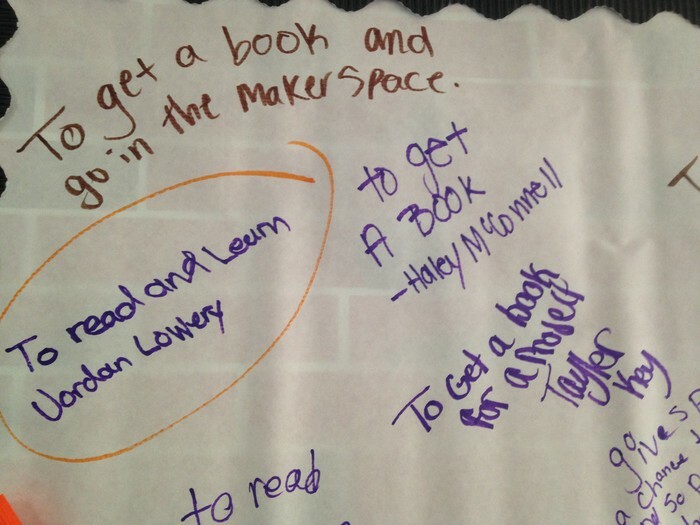 Received a $200 DonorsChoose grant to purchase a set of Little Bits (electrical circuits) for the makerspace. 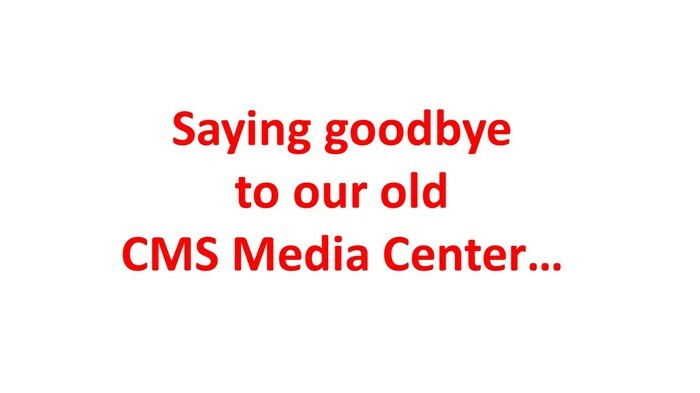 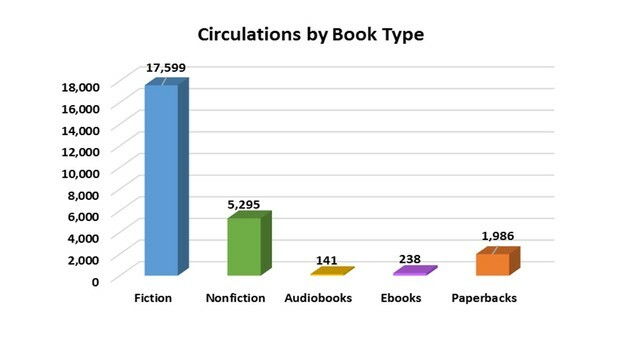 Hosted two successful Scholastic Book Fairs, which generated $1,541.27 in profits to be used in the media center. 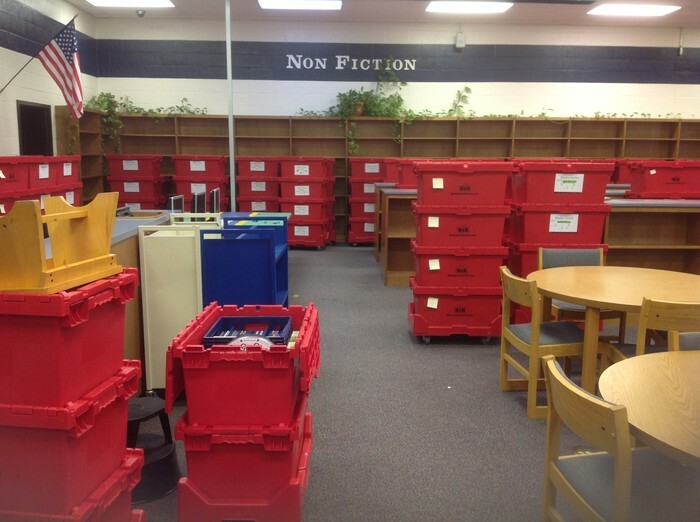 Weeded over 2,000 books to make the collection more relevant and current. 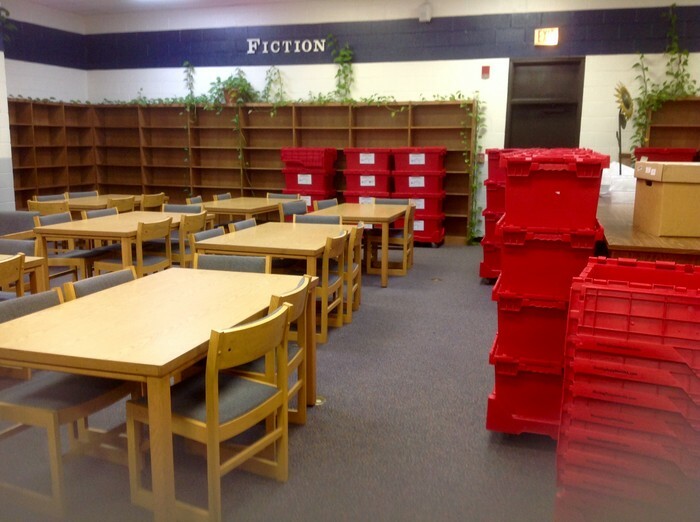 Packed up the entire media center to be moved to the new school. 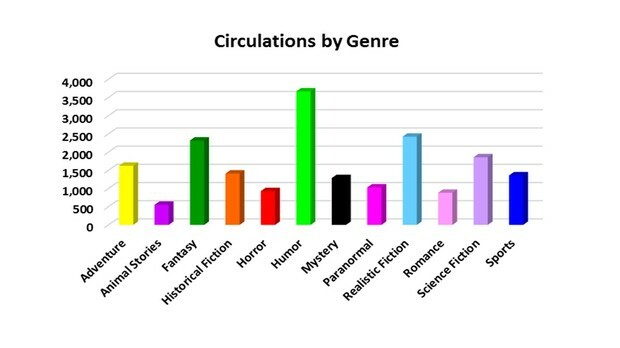 Circulations dropped this year for the first time since 2013. 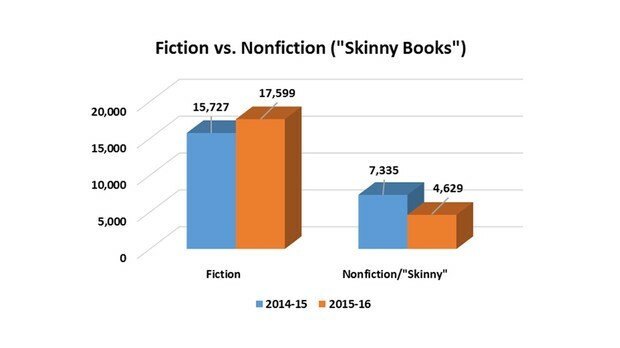 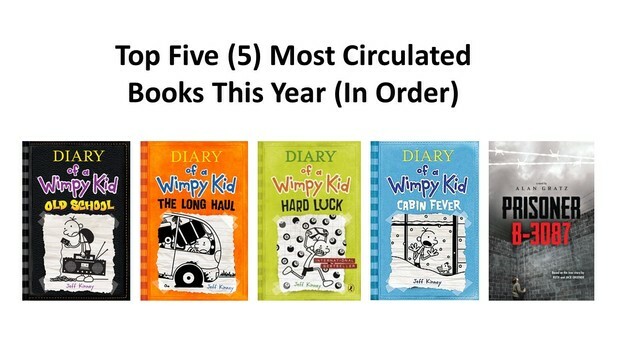 Presumably, the reason is due to students reading more substantial books (fiction chapter books) to increase their word count, instead of reading nonfiction (“skinny”) books to pass a quick AR quiz. 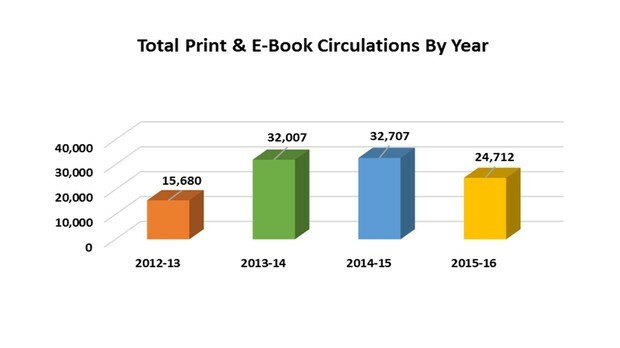 When surveyed, students consistently say they prefer print books over e-books. 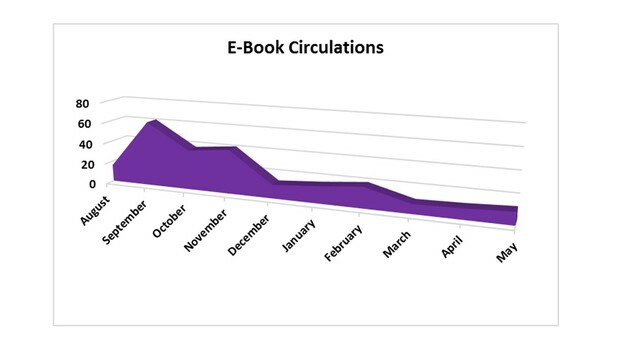 We currently have 130 e-books in our collection. 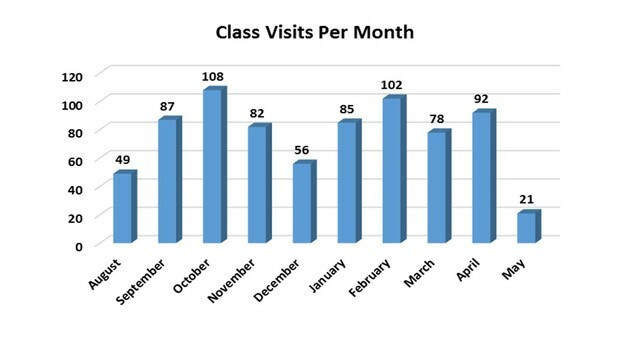 We served 760 classes this year. 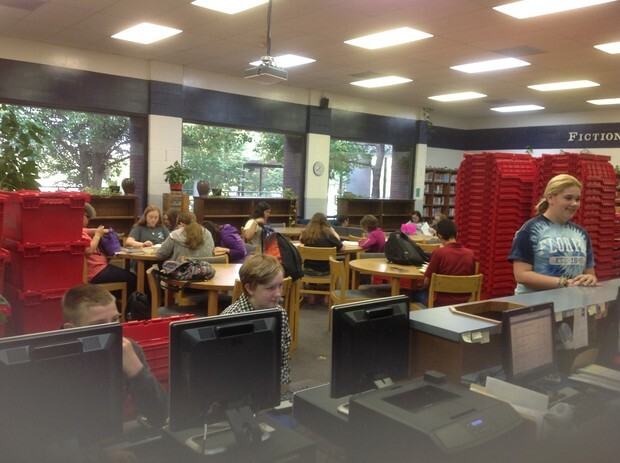 4-5 classes visit the media center each day, mostly for book checkouts and returns. 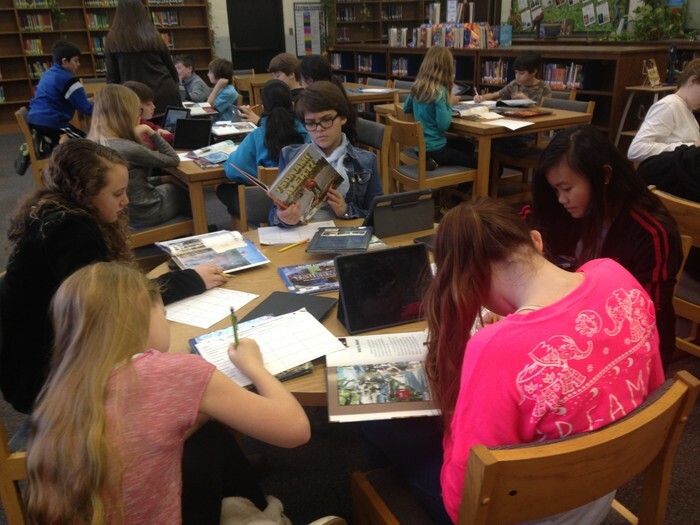 We operate on a partially flexible schedule, as ELA classes visit the media center bi-weekly on the same days. 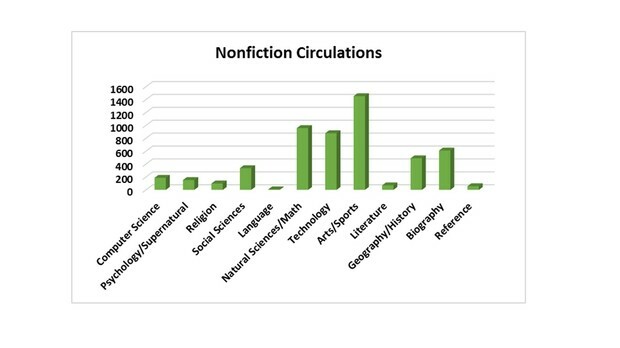 Other teachers sign up for research or the use of the media center as needed. 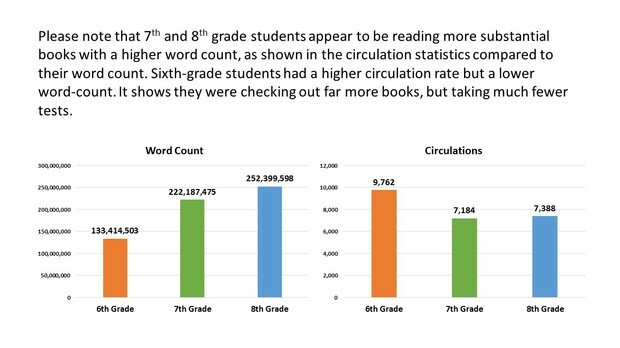 On an average day, 220 individual “walk-in” students visit the media center for printing, book checkouts/returns, reading, taking tests, project work, etc. 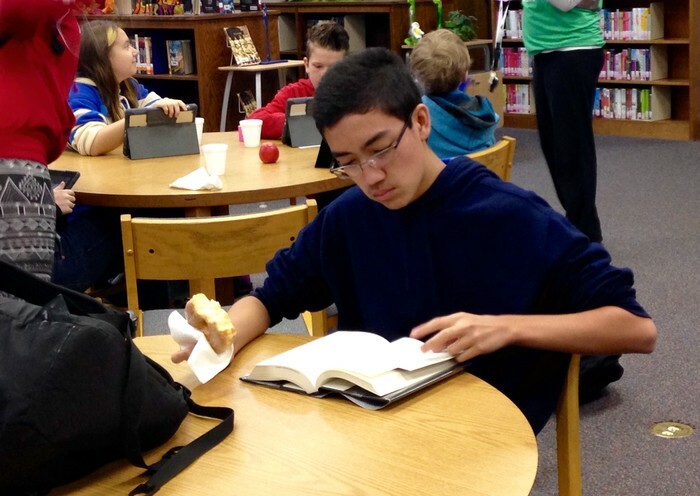 Many students also enjoy the media center as a quiet place to rest and relax before school and during lunch. 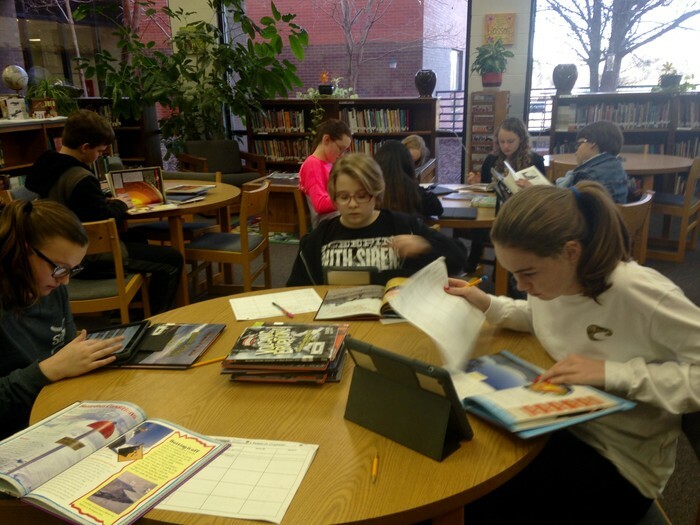 Eagle Pride Time remains a popular time for students to use the media center. 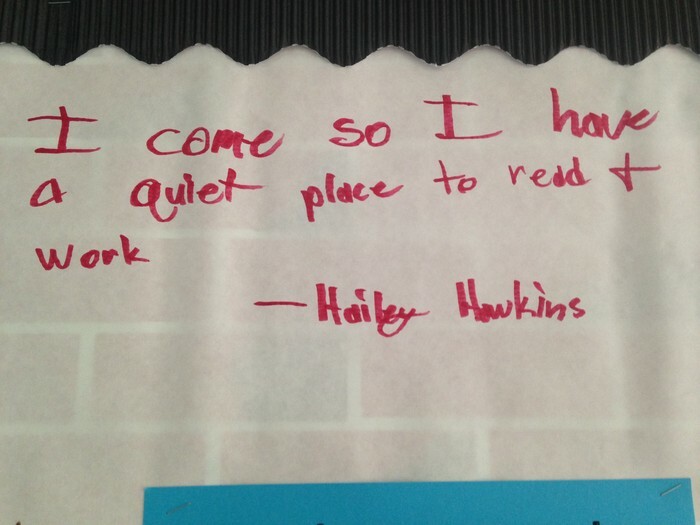 We normally have 30-35 students each morning to read, check out books, study, or take AR quizzes. 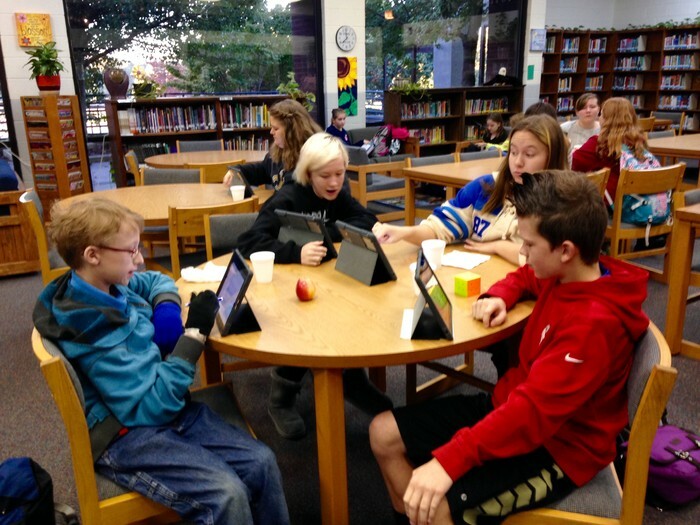 10-15 students participated in the Makerspace before school and during each lunch. 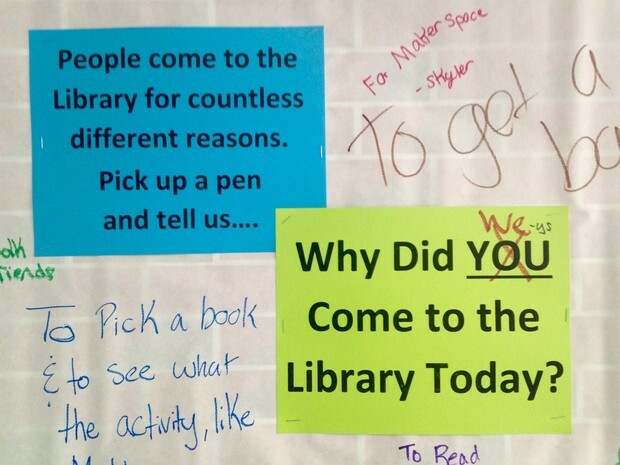 In other words, the Makerspace stayed full of students! 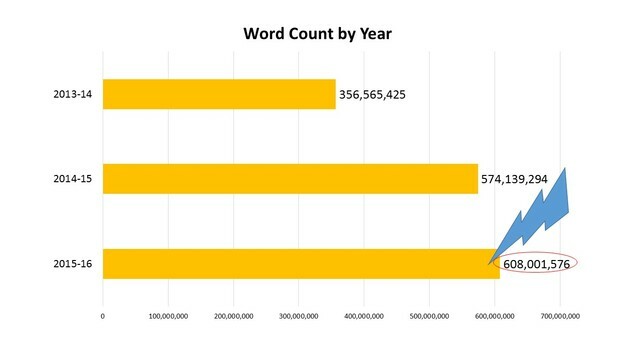 We reached our goal of 600,000,000 words read this year! 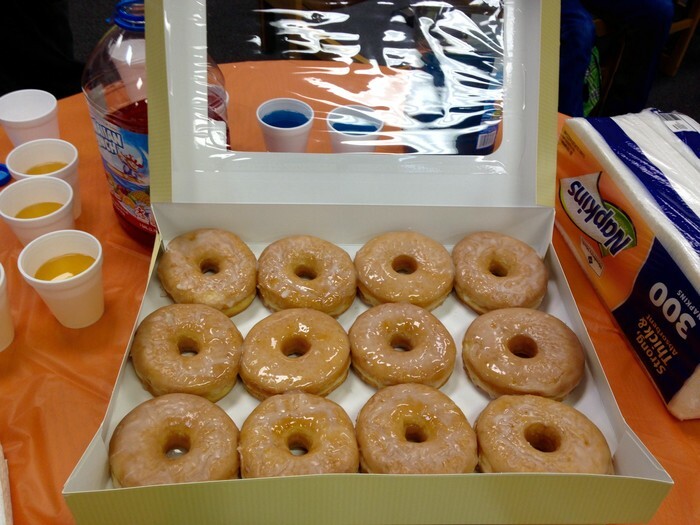 We celebrated those students who reached 500,000 words each quarter with either donuts or ice cream. 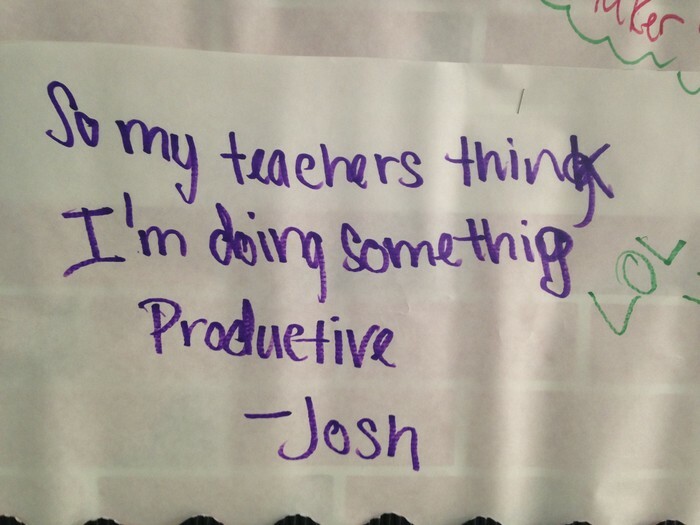 Began in October and was open to students before school and during lunch. 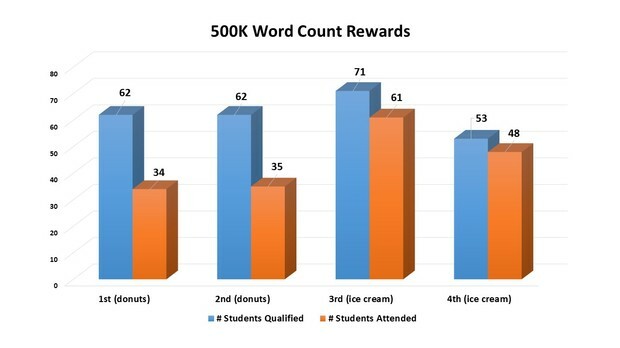 Ten to 15 students participated each day during those times. 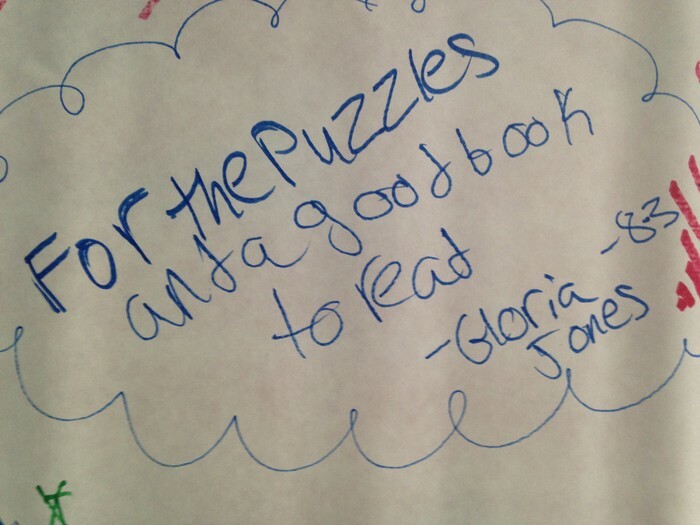 Students enjoyed LEGO's, coloring, crafts, play-doh, puzzles, and STEM-related challenges. 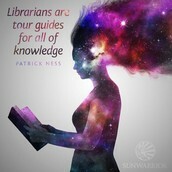 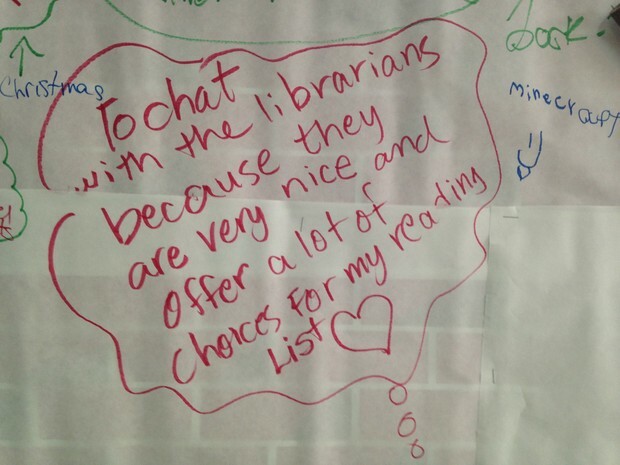 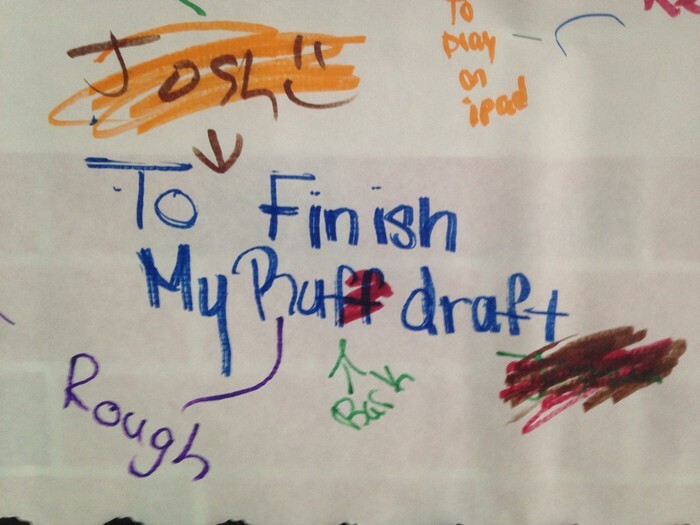 "Why is the Library Important to You?" We're here to help you--all day, every day!